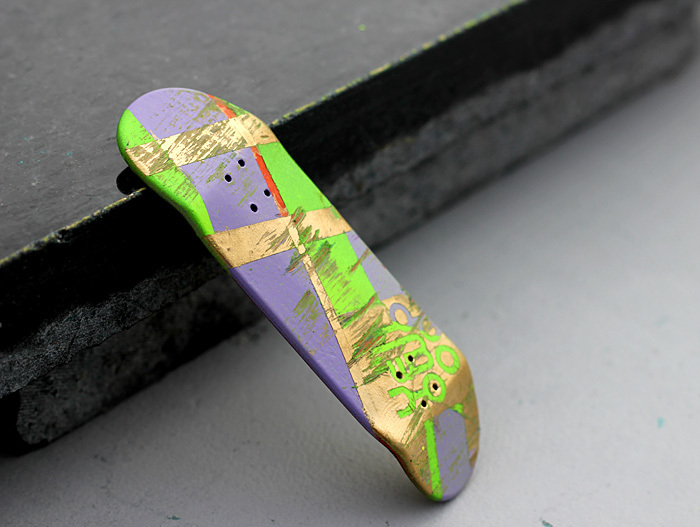 We made a new batch of stencil decks for the fans of real wear. We use only ink in various layers producing a unique design for each deck. The wear is super realistic mixing the colours and leaving behind the ink in the curb. The plies are Yellow, black, red, black, and orange. 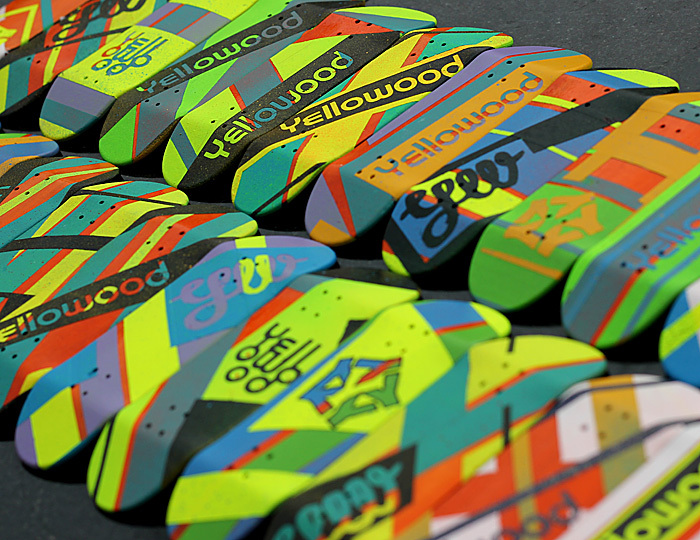 Underneath the graphic the deck is fully laquered to ensure lifetime and pop tradicional from Yellowood. 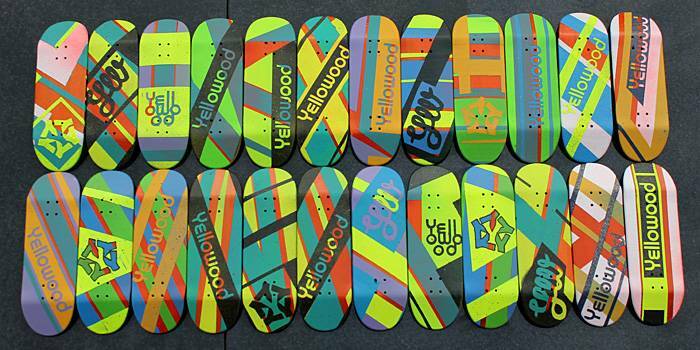 Yeah man Yellowood decks are amazing, I've owned a Z2! They never fail to impress me.